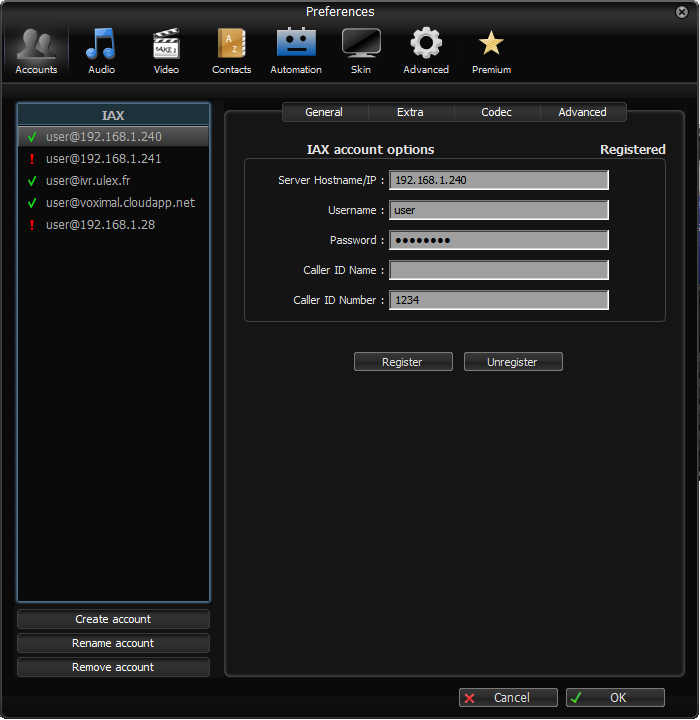 Run IAXLite once you’ve installed it and enter the credentials for the account on your Voximal. You’ll need the IP address of your server and your extension 'user' password. 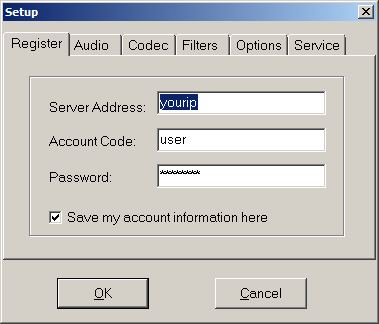 Fill in the blanks using the IP address of your server, 'user' for your account name, and whatever password got from your Voximal installation server. Run Zoiper once you’ve installed it and enter the credentials for the account on your Voximal. You’ll need the IP address of your server and your extension 'user' password. Choose Settings → Accounts and click the [Create Account] button. Run YateClient once you’ve installed it and enter the credentials for the 'user' extension on Voximal. 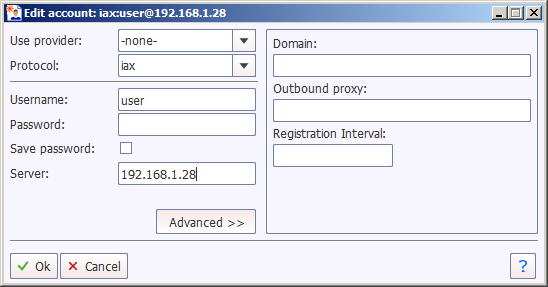 You’ll need the IP address of your server plus your extension user password. Choose Settings → Accounts and click the [New] button.